Not too long ago, I picked up this little Japanese doll from the Neighbourgoods Market at the Old Biscuit Mill in Salt River. 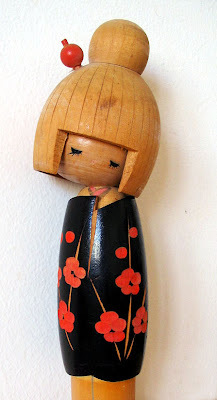 Intrigued, I googled “Japanese wooden doll” and discovered the marvellous world of Kokeshis, which have been traditional gifts of friendship in Japan for centuries. These little darlings are from the British shopping site DoIreallyhavetogotoworktoday? So cute! 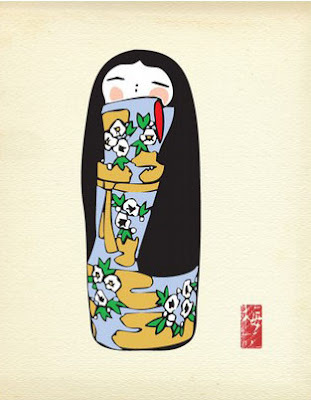 I love this kokeshi fabric by Alexander Henry. 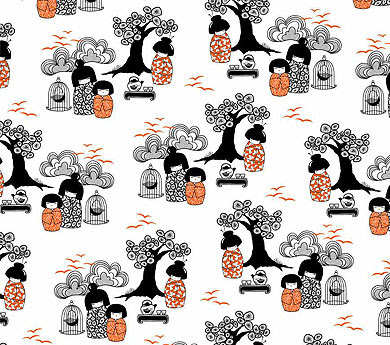 The design is called Yui Kokeshi and can be found at fabulous online fabric shop, Volksfaden. 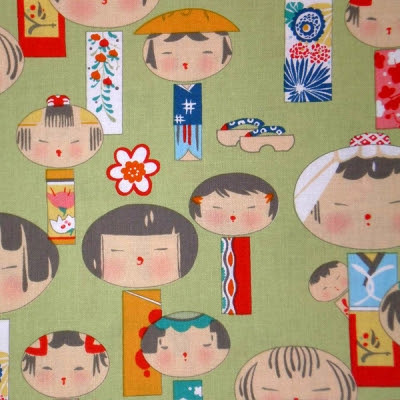 …as inspiration for their Kokeshi fabric (via Decor8). 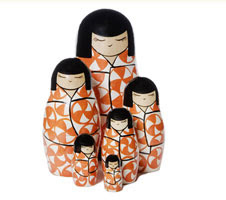 Urban Outfitters is stocking the sweet little Momiji message dolls designed by manga artist Joanna Zhou, which are also available directly from online boutique Momiji. 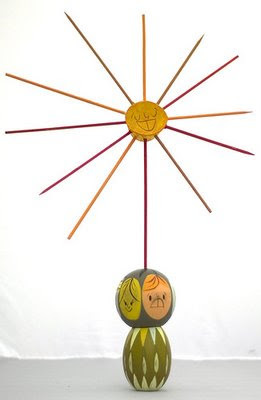 This Kokeshi was painted by amazing illustrator, Matte Stephens. He made it for a show of customised Kokeshis, curated by Christine Conway at Subtext in San Diego. There were heaps of beautiful customised Kokeshis at this show, which is soon to open in LA (see here for details). I’ve picked the ones I liked best, and there are lots more pics of the show on flickr. The more you look, the more you find. 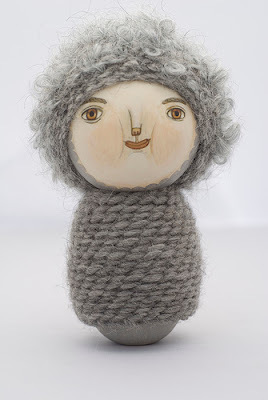 These little prints are made by Etsy seller, Mirabel. 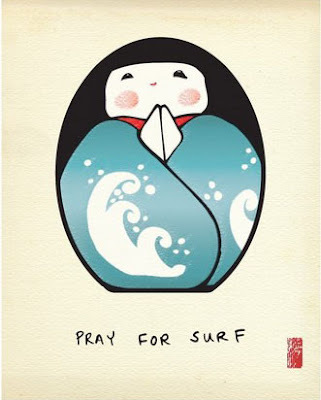 She has loads of sweet Kokeshi cards and prints in her Etsy shop. 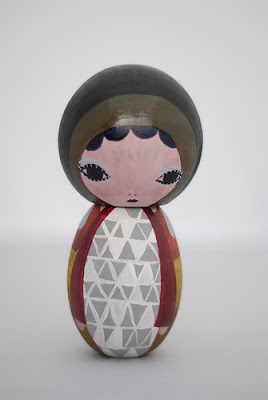 If you enjoyed this little taste of Kokeshis, you’re sure to be a Matrioshka fan too, so check out the recent Print & Pattern Matrioshka doll trend report here for more wooden doll loveliness.